I am living in Cork at the moment and I still had some holidays to take so I decided to visit my hometown Bratislava. Instead of flying from Dublin directly for two hours, I took a detour: Cork Amsterdam-Berlin-Dresden-Prague-Vienna-Bratislava– London-Cork. Visiting Galleries during the day (I study art history) , exploring “culture” during the night, staying with friends or couchsurfing, it was great. I managed to lose all the pictures from second day onward in a weird technological accident, which was less great. 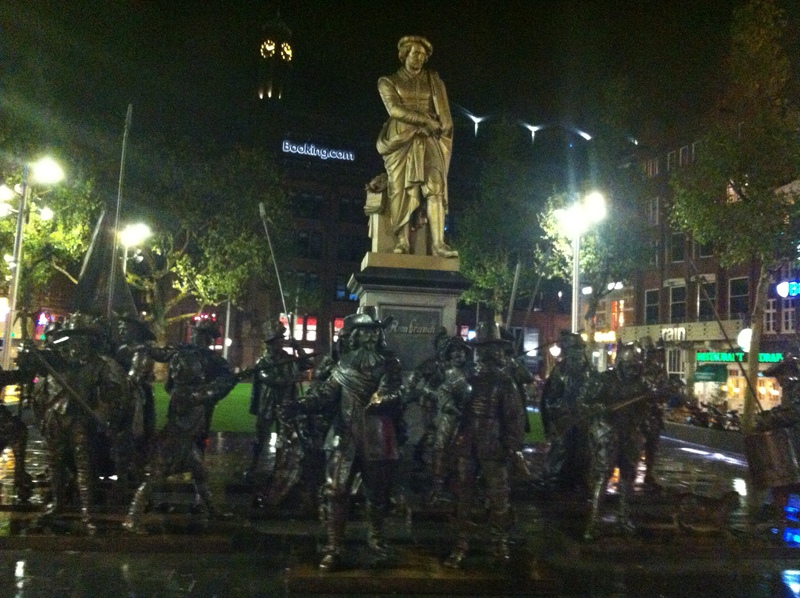 This one is from the first night in Amsterdam showing Rembrandt being protected by his own painting The Night Watch, brought to life by Russian artists Mikhal Dronov and Alexander Taratynov, illuminated by huge lights. My second picture is showing people in Paris dancing under electric lights. 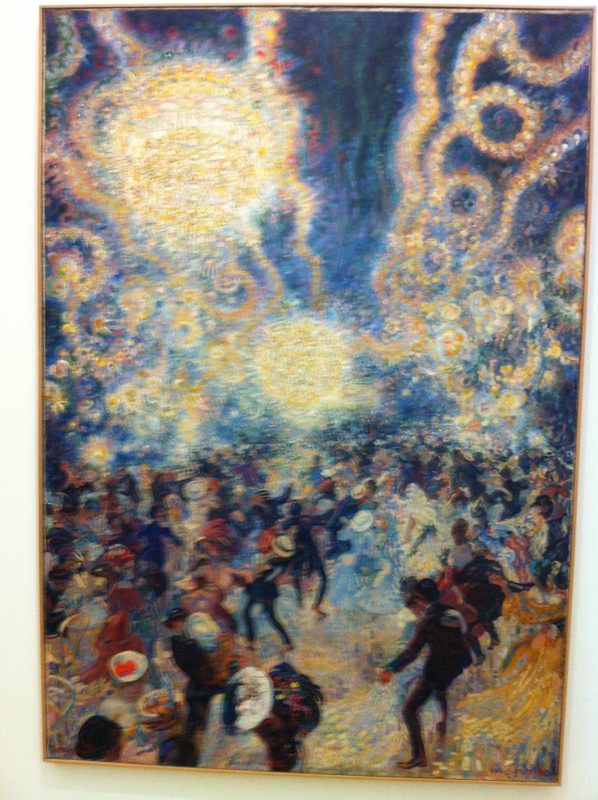 It is a painting by Jan Sluijters called Bal Tabarin (1907), seen during my visit in Stedelijk Museum.